Fusion Burn is a weight loss supplement that contains some well-known ingredients. It is advertised as a fat burner, but it is not actually a fat burning supplement. Containing a blend of five ingredients, it may have some effect upon blood sugar levels, thanks to the apple cider vinegar and chromium content. First published Mar 20, 2019. Fusion Burn is described as a fat burner, according to the product advertising, but contains ingredients that are unlikely to have the fat burner effect. Does this matter? According to some sellers, fat burning seems to mean anything that helps you lose weight! So, will Fusion Burn deliver the weight loss effect at all? We find out. BeLive is a supplement brand aimed at US customers only. According to the company information, all supplements take a holistic approach rather than conventional medicine. There are no background details to this company such as a landline or an address, but you can contact the company via Facebook messenger or email. Whether the company will respond or not is unknown. BeLive Fusion Burn is advertised as a fat burner, but it is not actually a fat burning supplement. It contains a blend of five ingredients and although it is unlikely to help weight loss, it may have some effect upon blood sugar levels, thanks to the apple cider vinegar and chromium content. BeLive is a US company that used Amazon as a marketplace, but these days seems to sell solely from the official website. Each bottle contains 60 capsules which equal up to one month’s supply. What are the side effects of BeLive Fusion Burn? Common side effects of Garcinia Cambogia may include nausea, diarrhoea, upset stomach, headaches, and dizziness. Apple cider vinegar in supplement form may cause the same effects as taking in natural form, and may include heartburn, burning sensation in the throat, upset stomach, and reduced potassium levels. Caffeine can cause jitteriness, increased anxiety, increased heart rate and blood pressure, and insomnia. How much does BeLive Fusion Burn cost? BeLive Fusion Burn is not expensive. One bottle of 60 capsules (one month’s supply) costs $15.50. Shipping is only available to the USA and delivery charges are not disclosed. Fusion Burn is a weight loss supplement that contains some well-known ingredients. The principle ingredient is Garcinia Cambogia – a fruit extract that has been widely touted as a miracle. It contains 100mg of caffeine per serving so may give your energy levels a lift – 100mg is roughly the equivalent of a cup of coffee. The other ingredients are trace mineral chromium which may help regulate blood sugar levels, and apple cider vinegar is well known as a folk remedy for countless ailments from everything from arthritis to lifeless hair! The final ingredient is black pepper extract which may help the way the body absorbs the other ingredients. Check out the ingredients section to find out more. There is not much background information about the BeLive company. There is no geographic location, save a PO Box located in California and the “about us” information tells us nothing at all. However, the supplements are manufactured in the USA and according to the label, is manufactured in line with good manufacturing practice which is a good point. Used as advised and your bottle will not last a month! Up to very recently BeLive supplements were advertised and sold via Amazon USA which seemed to have been the company’s main marketplace but strangely all BeLive supplements have now been removed from Amazon. 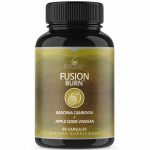 There did not seem to be any particular issues with the supplements and BeLive Fusion Burn had attracted 178 customer reviews of varying opinions. Perhaps this will change in the future or perhaps BeLive are switching to other retail outlets, or simply going to sell directly from the official website. At the time of writing, the BeLive website appears to be the only place to buy BeLive supplements. What does BeLive Fusion Burn claim to do? The product page for BeLive Fusion Burn is a bit odd. The main part of the advert looks professional and like many other advertising pages. “THERMOGENIC & ALL-IN-ONE FAT BURNER WEIGHT LOSS PILLS, a blend of the best natural fat burning ingredients to boost energy, increase fat-burning, and improve focus. This is not very convincing because Fusion Burn does not actually contain Green Tea! Scroll down the page and some additional information has been added in comic sans and bizarrely with wrong and inaccurate information. This supplement does not contain L Theanine! Does BeLive Fusion Burn work? This supplement will not work as described. First thing, you cannot classify this supplement as a fat burner because it is not! Fusion Burn does contain caffeine, of course, so you may experience a lift and added energy for a while, similar to drinking a cup of coffee but as we all know the effects of caffeine soon wear off especially as you become more accustomed to taking. Garcinia Cambogia is described as the “most effective product in the health industry”, but in truth, there is no real evidence it will work as well as claimed and it has never been considered a fat burner. Garcinia is high in Hydroxycitric acid which, according to some research, HCA prevents a natural digestive enzyme called Alpha Amalyse from breaking down the carbs you eat for storing them into fat, and instead some of these undigested carbs pass through your body. This sounds good but according to scientists, this ingredient requires further testing. Chromium Picolinate (200mcg): Chromium is a trace mineral that may help the body regulate blood sugar, so can be useful for the management of diabetes. Other research suggests it may help diabetics avoid weight gain more easily. Usual serving size is between 50mcg and 200mcg, so this should be an effective serving. However, analysis of 11 studies (published in the journal Obesity Reviews) found that using Chromium Picolinate for weight loss resulted in an average weight loss of only 1.1 lbs. after 8 to 24 weeks. Bioperine (5mg): Branded product from a company called Sabinsa. This patented compound may enhance the efficacy of other chemical compounds making them more effective. According to the Sabinsa information, it is effective for some herbal extracts as well as vitamins and antioxidants, but we have no way of knowing whether it will enhance the effects of Garcinia Cambogia and it does not seem relevant to the other ingredients. Caffeine (100mg): Most diet supplements contain caffeine and it is ideal for giving you a quick energy boost. It can increase the speed of the metabolism but the effects are often short-lived as you become accustomed to use. Here in the equivalent caffeine serving of a mug of instant coffee. Garcinia Cambogia extract (250mg): Garcinia Cambogia is a sour tasting fruit which grows in Asia. Similar to tamarind, it contains high levels of hydroxycitric acid (HCA) and it is this which is supposed to cause the weight loss effect. Caution: Not suitable for individuals under 18. Avoid if you are pregnant or breastfeeding. Speak to your doctor before use if you are taking prescription medication or have an underlying medical condition. Before the Amazon page for BeLive Fusion Burn was taken down we managed to see a couple of customer reviews. We cannot investigate whether the comments are genuine. So I was doing the ACV challenge taking two teaspoons at night and two first thing in the mornings…. it was so awful I got to the point where I could open the refrigerator and see the Braggs ACV bottle and GAG just by looking at it… THIS PRODUCT IS ABSOLUTELY AMAZING…. no taste and no gagging. Clear capsule you can swallow and I HAVE LOST 8 lbs in less than TWO weeks of taking it! I’ve been taking these for about 2 weeks along with the Moon Burn at night. They have helped significantly with appetite control and provide a non-jittery boost. They have actually helped me kick a coffee habit, and with the appetite suppression, I have lost about 5 lbs due to diet and exercise. Not everyone was as satisfied. This customer found it did not work and was unable to claim the advertised money-back guarantee. So I’ve used up most of this bottle by now. I work out daily and track my weight often, so I hoped to use this as a supplement to boost fat burning. However, this fat burner had no effect on me. Through checking my weight, I noticed that this contributed in no way. At worst, I experienced some stomach aches at times. Unfortunately, customer support was not much help in this situation either. While BeLive advertises a refund policy for this product, they did not seem to back this up in their support. I know this because I asked for a refund and never got any response whatsoever. There is no money-back guarantee. There was a money-back guarantee advertised on Amazon, although one customer at least was unable to claim it, however, there is no guarantee if you buy from the BeLive website. BeLive Fusion Burn is only currently available from the BeLive website. BeLive Fusion Burn does not look to be a good quality supplement. It is advertised as causing effects that the ingredients have no way of causing, yet the potential benefits are never mentioned. In our opinion, this suggests that BeLive does not understand their own product and the fact that the advertising mentions ingredients not even present in this supplement is an added concern. There is very little background to BeLive. The only provided address is a PO Box, and with no real contact details such as a customer phone line or live chat facility, you cannot easily connect with the company. This was not such an issue when BeLive Fusion Burn was sold via Amazon, but now you have no other option but to buy from the official website, it is more of a concern. Added concerns include the lack of a money-back guarantee, the fact that the product website has obviously been recently updated in a very amateurish way, and the hidden story that undoubtedly lies behind the decision to stop selling this supplement on Amazon. 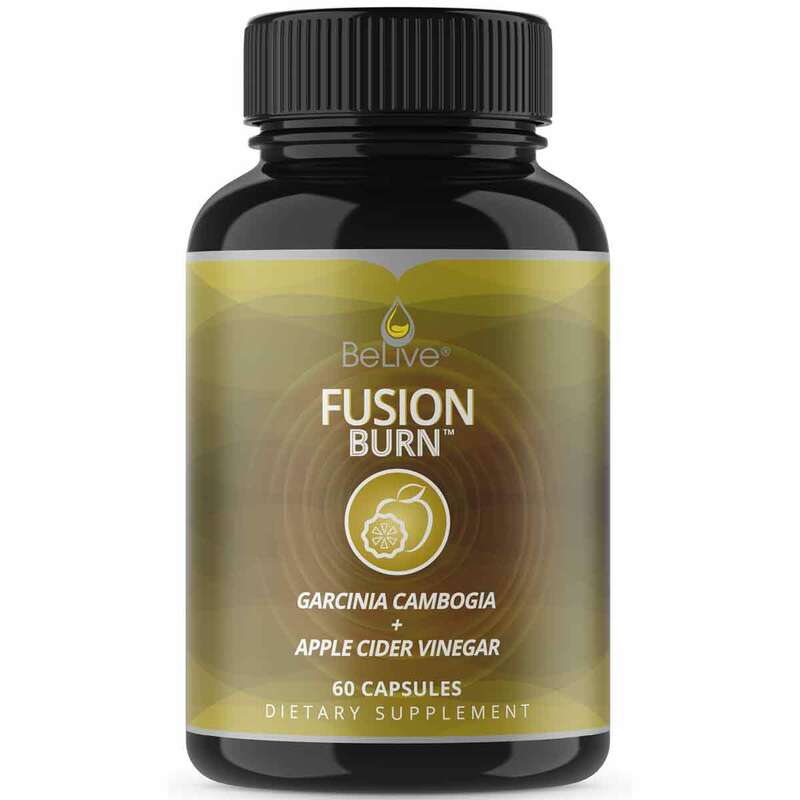 Overall, we do not trust BeLive Fusion Burn, so we do not recommend this supplement to the Watchdog readers. How does BeLive Fusion Burn compare to Phentaslim?